Studies show that 70% of Christian raised young adults walk away from their faith after they graduate high school. Just think about all of the time, effort, resources and money churches and parents spend on their children from preschool, to elementary, to middle school, and to high school. Yet the failure rate is 70%! Churches and parents, we are failing our children, and it’s time to take this problem seriously. Give parents Biblical advice on training their children in the way they should go, as stated in Proverbs 22:6. 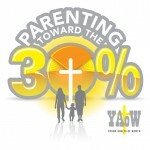 We inform, encourage and challenge parents to start parenting biblically at an early age and continue through young adulthood, to increase their child’s chances of being in the 30% that stay with the Lord. Encourage young adults to continue their walk with Christ towards maturity, by attending, participating and supporting their local church. Support and help other young adult ministries to be successful, including churches and college ministries. Give young adult Christians fun, safe and Godly places to hang out where they can meet other Christians. Learn more about what we do, who we are, and what we believe.